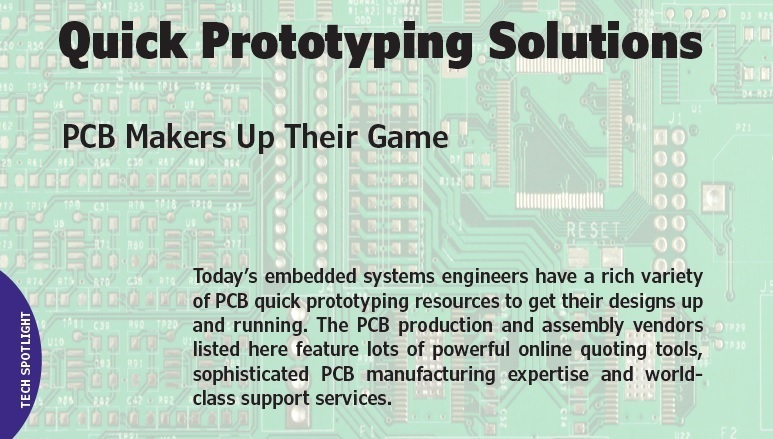 Today’s embedded systems engineers have a rich variety of PCB quick prototyping resources to get their designs up and running. The PCB production and assembly vendors listed here feature lots of powerful online quoting tools, sophisticated PCB manufacturing expertise and world-class support services. 3rd largest PCB manufacturer in the US. Advanced Circuits also offers exclusive services to help customers with their PCB Projects. Advanced Circuits can help you with all aspects of PCB fabrication—from manufacturing through assembly. It can create rapid prototypes and even provide weekend turns to get you your orders when you need them. Services: Full spec PCBs, small quantity / quick turn PCBs, custom spec / quick turn PCBs, highly specialized precision PCBs and large scale production. No order is too small or too large. AP Circuits is a quick turn-around manufacturer of custom PCBs. Founded in 1984, AP Circuits became the world’s first facility devoted to affordable rapid printed circuit board prototyping. Over thirty years of experience getting your project done right and delivered on time. 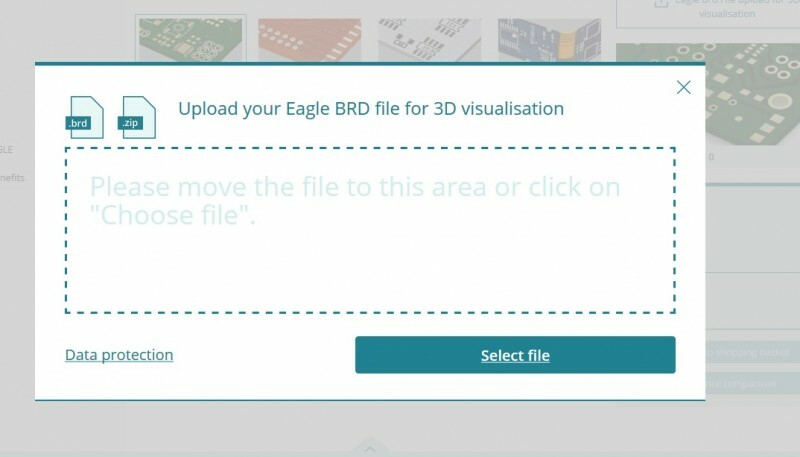 Beta Layout has an online pricing calculation tool that lets you unload your Eagle BRD files for 3D vacuolation. Custom Circuit Boards is a full service quick turn PCB manufacturer located in Phoenix, Arizona with the capabilities to fabricate your prototype and production quantity PCBs. It We specializes in Quick turn PCB services with an industry leading turnaround time as fast as 24 hours. The company also does PCB prototypes, production PCBs and multilayer PCBs. Example of a 12-layer HDI boards with buried and blind vias built by ExPCB. TS-16949, with aligned technology roadmaps and quality systems. Services: Provides complete engineering and design services, from concept through production, in a quick and efficient time frame. Capabilities include: battery pack design and assembly, PCB electronic design, cable assembly design, flex and rigid-flex circuit design, user interface and more. IPC-A-600 F (Class2) standard, be it prototype or production. Specializes in quick turn prototypes, as well as rapid turn production. Services: PCB assembly capabilities summary: SMT, Flip chip, thru hole, Flex circuit assembly, cable assemblies, lead-free assembly and sire harness assembly. Full Turnkey service for all customers if needed as well as partial turn-key and consignment orders. PCB capabilities include: 22 layer fabrication, hole sizes down to 8 mil plated and 5 mil laser drilled, 3 mil line width and spacing, 6oz copper and a maximum PCB thickness up to .300″. MacroFab’s mission is to create the future of electronics manufacturing through user-centric, cloud-based technology. In October 2017 the company launched its 10-day Prototype turnaround service. This service benefit teams that quickly iterate on designs to finalize to their products. 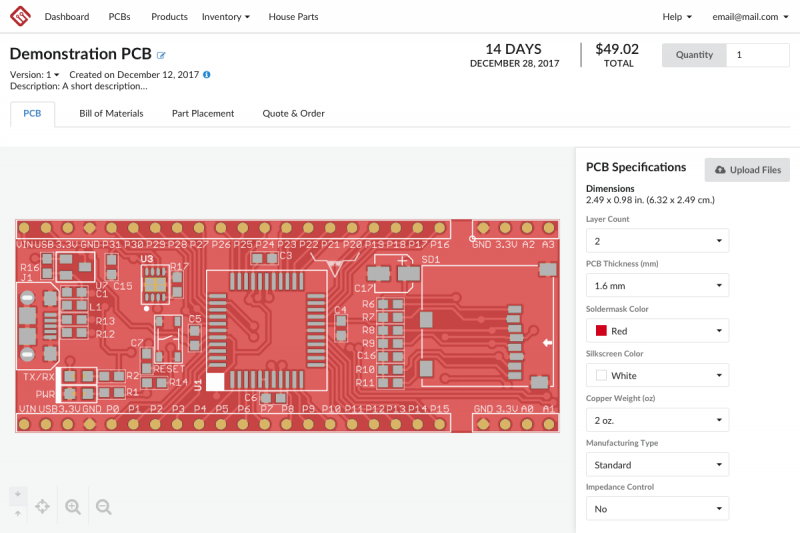 Services: MacroFab’s software allows you to control and manage your entire PCBA manufacturing from start to finish. You can update your PCB layers and BOMs online, then approve the files for production. MacroFab lets you upload your product design files directly onto its online platform. You can receive an instant quote and place your order without delays. Services: Assembly capabilities include BGA, LGA, QFN, QFP, DIP and SIP. The smallest SMT footprint it can mount is 0201. Factory can also provide programming and wiring as well as injecting and conformal coating services. PCBCart is a professional PCB production service provider with more than 10 years of experience in the electronics manufacturing industry. We’ve manufactured printed circuit boards for more than 10,000 companies and over 80 countries around the world. Fast, affordable prototype assembly they take your unique PCB designs, prepare them for the assembly process and perform comprehensive testing to ensure they meet your precise performance requirements. Can provide a complete turnkey PCB prototype assembly featuring a one-stop shop approach. 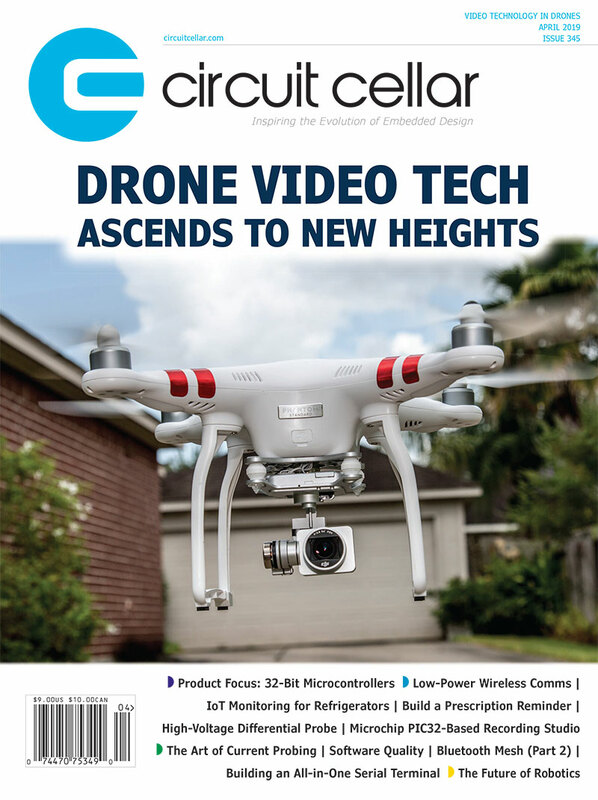 Screaming Circuits, a division of Milwaukee Electronics, was founded in 2003 to reinvent electronics manufacturing. Unlike old-fashioned manufacturing models that focused on mass volumes and cost-control through rigidity, Screaming Circuits specializes in fast and flexible prototype and short-run assemblies. It offers short-run production for higher volumes without forecasts, NRE charges or volume commitments. If you need to go a step further with scheduled production, its parent company Milwaukee Electronics provides a full range of electronics manufacturing services, from original design to volume production and life-cycle management. 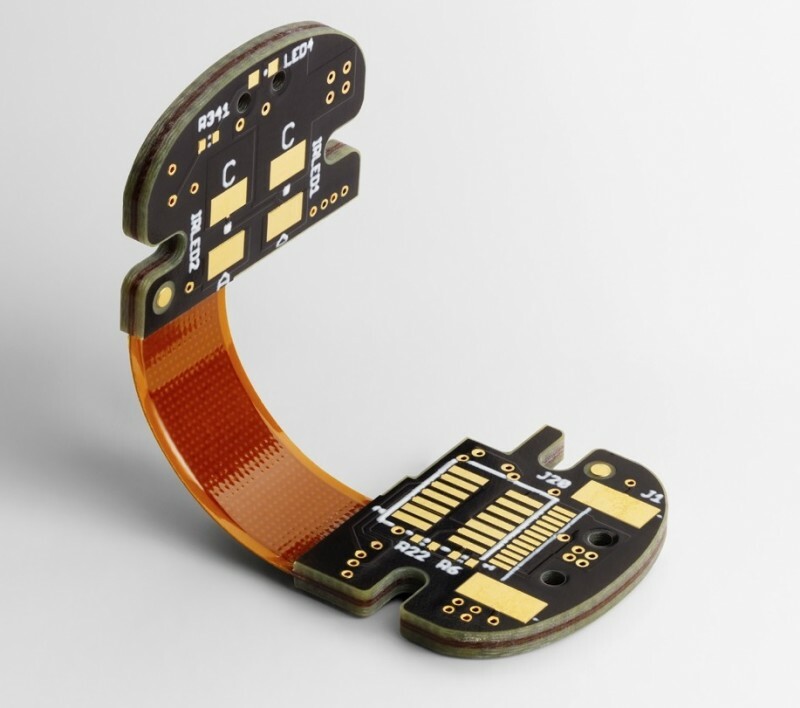 Sierra Circuits can produce Flex PCBs with flex from 1 to 16 layers. SlingShot Assembly’s state-of- the-art production facility handles prototype and low-volume production orders. From a single board and up, they use the latest software, processes and equipment to produce high-quality assemblies fast and at a reasonable price. Customers use the company’s assembly services for early prototype runs when they need high-quality assemblies completed in a matter of a few days. Typically, the quantities for early prototypes range from a single board to about 50. Once initial testing of early prototypes is completed, many customers move to late-stage prototyping or pre-production assemblies. Services: Quick turn PCB assembly, standard assembly turn time: 2 – 3 days (turn times as fast as 24 hours available), prototype and low-volume production (single orders welcome, 100% turn-key components, turn-key board fabrication encouraged, test (including flying probe and functional test), conformal coating, limited box build services, web-based BOM sourcing and more. 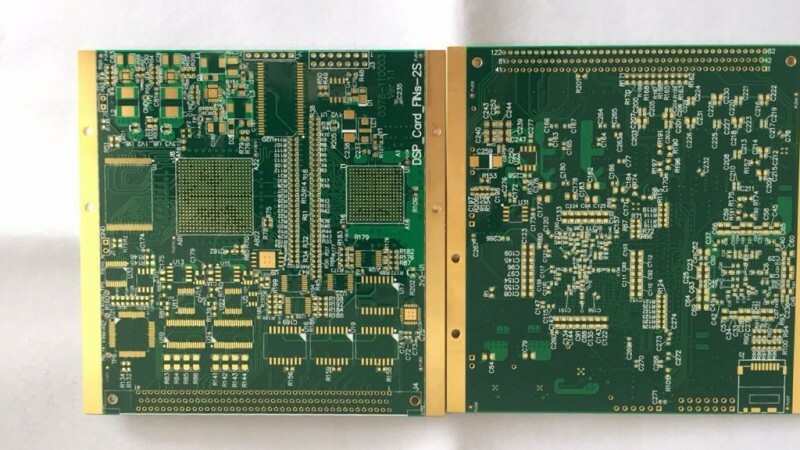 This entry was posted in Archive Article, CC Blog and tagged flexible pcbs, PCB, PCB assembly, PCB Design, prototype, quick prototyping, vias by Circuit Cellar Staff.